The five best films of 2016 thus far. That simple. The movies that moved me the most, whether it be through laughs, violence, information, beauty or the chill of true dread, these five films are those that are most likely to stick near the top come year end. Why? What separates the best from those that finish just short? I can only answer that question for myself. You are the only one who can answer for you. It's how art makes you think, reflect and feel. For some the movie I hate most this year will be their favorite, and that's okay. Embrace it. I will sit here and talk about cinematography and lighting and performances and editing and writing, and I do that because that is what makes me think, reflect and feel. Well, that and telling a great story of course. The point is, I write about what I find to be objectively and subjectively important, whether it be something we can all see like a usage of color that is thematically relevant or something only I can feel, something that is speaking to me and tapping into a profound place. When I tell you a movie is the best, it's my best and the most I can do is hope that it will be yours too. If you loathe every moment of one of these films, I hope at the very least the fact that you hate it makes you think. Linklater does it again, another beauty from the man who demonstrates over and over just how intelligently he is able to capture the transformative stages of adolescence. Where as with Dazed and Confused he covered high school and Boyhood essentially covered it all, Everybody Wants Some!! has its focus on college, specifically centered around an incoming freshman baseball player days before classes begin. With brilliant dialogue that oozes with humor and heart, don't miss out on this wonderful film. In case I had any doubts (I didn't) regarding how much I love the new film Green Room, I went and grabbed the Blu-ray this past Tuesday when it was released and gave it a spin, a highly anticipated revisit. The bold and brutal genre film didn't disappoint. In fact its cuts may have sliced deeper. Director Jeremy Saulnier wowed me with his previous film Blue Ruin, and I think his maturity as a filmmaker shows with an tighter and more technically impressive effort this time around. If you can stomach this one, it will taste delicious. So I included the "if you can stomach this one" disclaimer with Green Room. Let me take it a step further here: if you could NOT stomach that film, don't watch The Neon Demon. Just don't. If you had no issues with Green Room and want more challenging, violent and frankly bizarre cinema, you've come to the right place. Don't fall for the widely spread idea that this Nicolas Winding Refn picture is guilty of misogyny. See through that false accusation. What he created here is a criticism of the world that has placed such horrible and unhealthy expectations on women and the importance of physical appearance, and he perfectly puts the modeling industry specifically under the microscope. There is some other, far more hard to explain stuff going on too, including necrophilia and cannibalism (I'm not kidding). I loved this film so much and I can't wait to watch it again. ...I happened to watch the single greatest documentary I have ever seen. That's not hyperbole. O.J: Made in America is a revelation, the most comprehensive and brilliantly assembled doc I have ever witnessed. Clocking in at 7 and a half hours and I honestly wanted it to be longer, this film covers everything, and I do mean EVERYTHING, yet I wouldn't cut anything. Each piece of this puzzle matters, and the finished product is eye opening even for someone who was decently familiar with the infamous murder trial. Prior to watching this film I had always wondered how he got away with the crime. Now I know there was never a chance he would be convicted for what took place on that tragic, horrifying night. Wow, was not expecting that top 5. I've heard the Neon Demon is very divisive. yeah, it's a pretty strange top 5 at any point throughout a year, but especially after seeing over 60 films now. 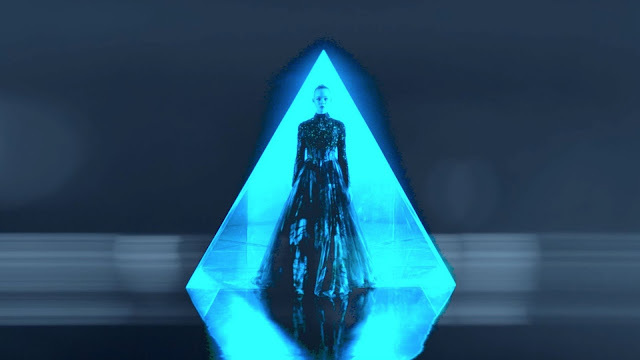 The Neon Demon is extremely divisive. I was one of 6 people total in the theater when I saw it, and it's a safe bet I was the only one who enjoyed it.